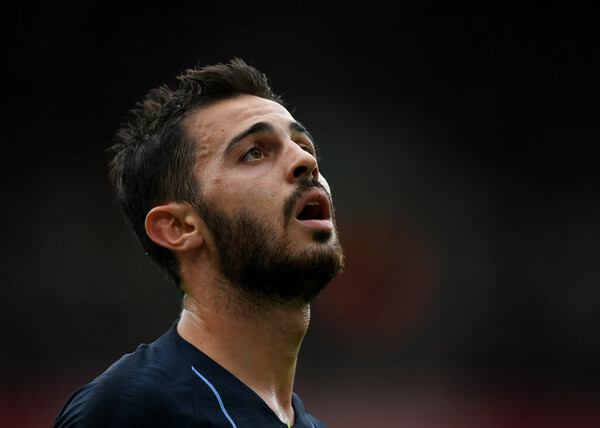 Man city midfielder Bernardo Silva looks on against Arsenal during a Premier League match at the Emirates. Portuguese midfielder Bernardo Silva just scored a curling screamer to increase City's lead at Arsenal. The Premier League champions now have a 2 goal lead at the Emirates. Silva struck the ball with great technique and power to beat Petr Cech.